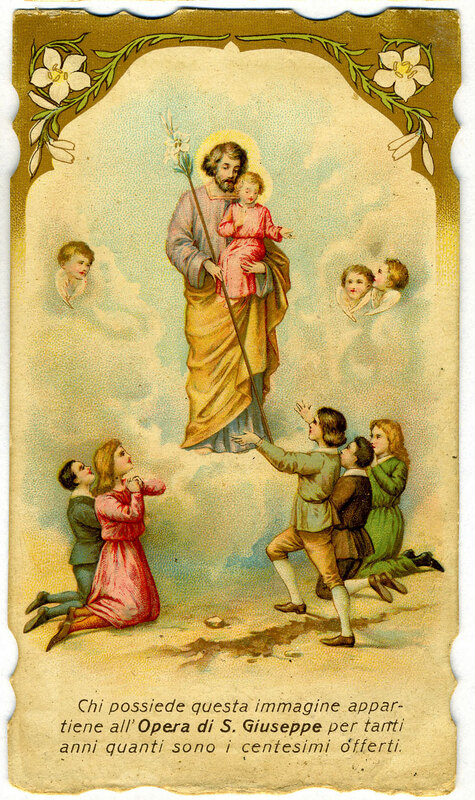 March 19th is Saint Joseph’s feast day. This is a huge holiday for Italians and for Italian-Americans. At one time it was actually an Italian national holiday. As a kid our next door neighbor always made the traditional Neapolitan St. Joseph day fritters called Zeppole di San Guiseppe. They were the most delicious sweet I could imagine and I waited for them every year. She’d hoist a big pot of oil up onto her outdoor barbeque and drop in balls of sweetened dough, cooking them until they were golden and puffy. Then she injected them inside, using a small turkey baster type thing, with a lemon custard. And just to make them richer, each one was topped with a dollop of sweetened ricotta and a cherry. There are many variations on this pastry through the South. In Sicily they’re called sfinci and are usually filled with a cannoli-like filling. Considering that Saint Joseph’s day falls during Lent, a period of liturgical fasting that coincides with the fasting imposed by nature, this extremely decadent pastry always seemed to me a bit inappropriate for the occasion. That’s Southern Italy for you. But before anyone gets to bite into one of these treats, everyone sits down to a bowl of bean soup. In Sicily Maccu di San Guiseppe, a soup made from dried favas, chick peas, and chestnuts is one of the bean dishes served, and many families cook up large pots of pasta e fagioli, serving it to anyone who happens to drop by. Here’s my version of an old pasta e fagioli recipe from around Naples. It’s made with a home-made, eggless pasta called lagane and chick peas flavored with hot chilis, parsley and garlic. It’s a beautiful way to celebrate the Feast of Saint Joseph. Drain the chickpeas and place them in a large pot. Cover them with cool water by at least 2 inches. Add the bay leaf and turn the heat to high. When the water comes to a boil, lower the heat and let them simmer gently, partially covered, until tender, about 1 1/2 hours, but it really depends on how hard your chic peas are. Some can take longer, so start testing them after about 1 1/2 hours. Add more warm water if needed to keep the chickpeas covered. When they’re tender, season them with salt and a generous drizzle of olive oil, and turn off the heat. Pour the water and the salt into the bowl of a food processor and give it a few pulses. Start adding the flour a little at a time, giving it a few pulses each time to work it in. When the flour is incorporated and everything has formed a slightly sticky ball, dump the dough out onto a lightly floured surface (if the dough seems too dry, drizzle in a tiny bit more warm water and pulse a few more times). Knead until the dough is smooth and shiny, about 8 minutes. Wrap the dough in plastic wrap and set it aside to rest for about 1/2 hour. Cut the dough into 4 parts. Flour the first piece of dough lightly and run it through a hand-cranked pasta machine several times at each setting until you get to the third-to-last setting. The lagane should be a little thicker than standard fettuccine. Do this with each piece of dough. Lay all the pasta sheets out on a floured surface and let them sit to firm up for about 5 minutes. Now cut the sheets into approximately 1/4-inch-wide strips. Cut the strips into 2-inch lengths. Sprinkle the lagane with a little flour and lay them out so that the pieces don’t touch. Drain the chickpeas, saving all their cooking liquid. In a large skillet, heat 3 tablespoons of olive oil over medium heat. Add the onion, and sauté until softened, about 4 minutes. Add the peperoncino, rosemary, and the garlic, and sauté a minute longer, just to release their fragrances. Add about half of the chickpeas, and sauté them in the oil for about 3 or 4 minutes, letting them turn a little golden. Season with salt. Add the splash of white wine, and let it boil way. Add 1/2 cup of the chickpea cooking water, and let the sauce simmer. You’ll have some chickpeas left over to use for a salad or a side dish (it seems to me if I’m going to take the time to cook dried chickpeas, I might as well make a good amount and use them for different dishes). Drop the lagane into the water and cook until al dente, about 3 minutes. Drain well and add them to the skillet. Toss everything together briefly in the skillet, adding a generous drizzle of fresh olive oil and the parsley. Add more salt if needed. You can also add a little extra ceci cooking liquid if it seems dry (the consistency shouldn’t be too soupy, but a little moisture is the traditional texture). Transfer to a warmed serving bowl, and serve with grated Caciocavallo if desired. Often in Southern Italy dishes that contain hot chilies are serves without cheese, but this is not a hard rule, so just follow your taste. I like my lagane e ceci with a little cheese. This entry was posted in Food, Saints by sandra dipasqua. Bookmark the permalink.